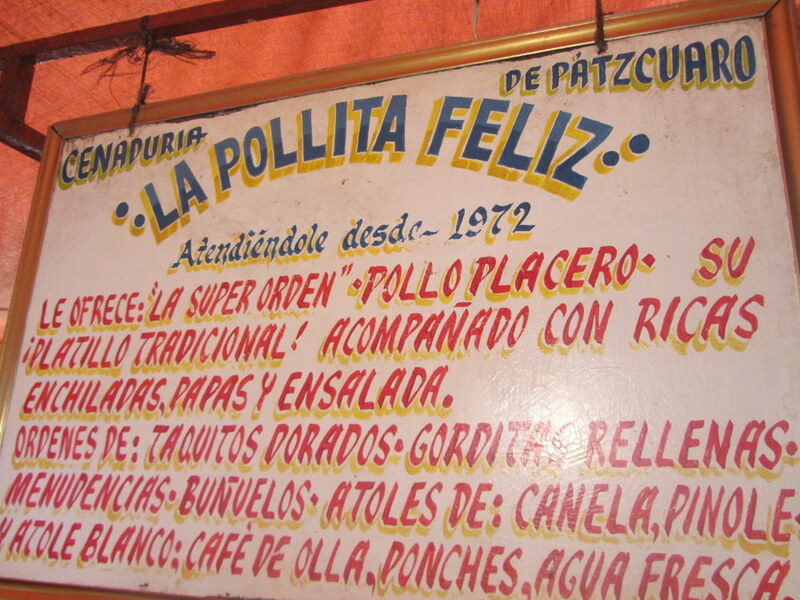 If you find yourself in Patzcuaro, Mexico, whatever you do, don’t miss out on eating at La Pollita Feliz. You will leave feeling like a happy chicken, indeed, after eating a meal this good. At La Pollita Feliz, you are served grilled chicken that’s to die for, enchiladas, potatoes, carrots, onions, and cabbage salad. This is the kind of street food that all street food aspires to be. It’s one of my top ten favorite street foods. 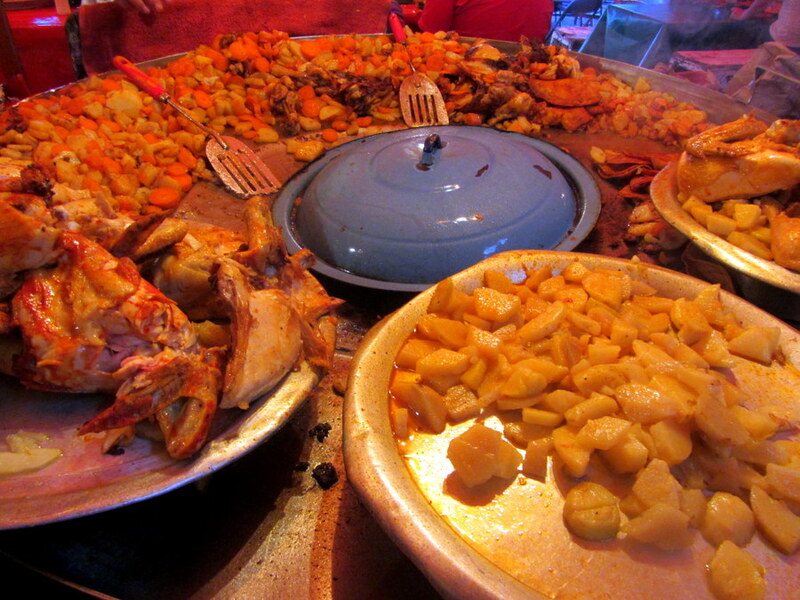 In fact, I daresay, it’s worth making a trip all the way to Patzcuaro just to eat this meal, it’s that good! If you can, get a seat next to the grill like I did, so you can watch your meal being cooked. La Pollita Feliz is under an open air tent in front of the market in the main part of town. That’s the best I can do for an address, but if you have trouble finding it, just ask the locals. Trust me, they all know where it is. They are open everyday from 5:30pm until 1 am. 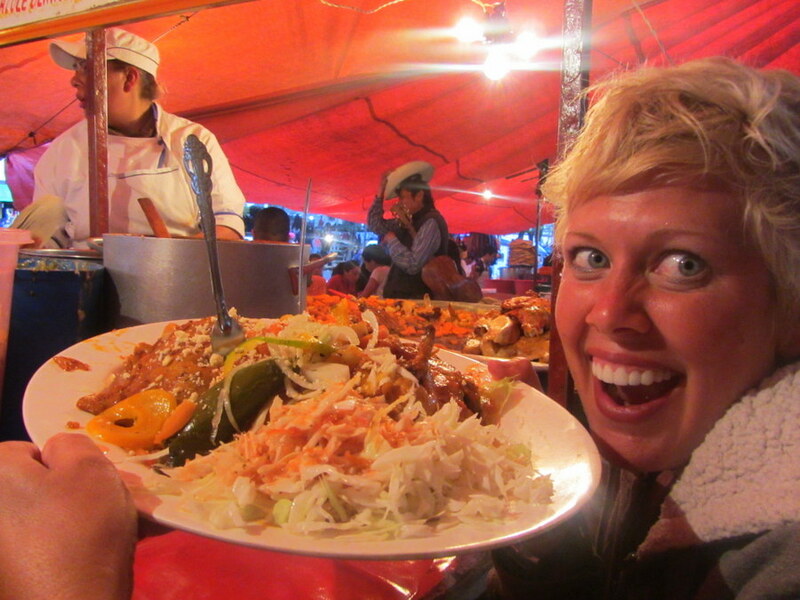 The whole meal is only 70 pesos (about $5 US) and easily feeds two people. You can also get a family platter for 150 pesos which will feed four. 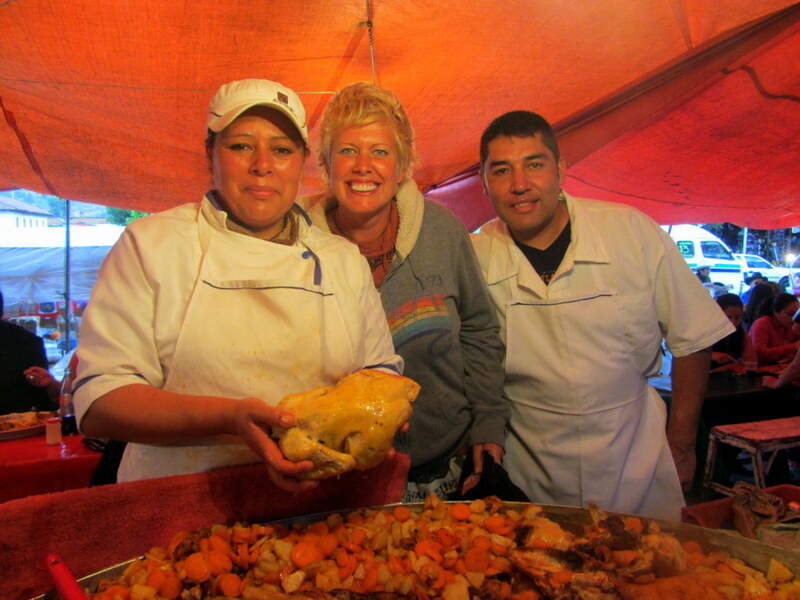 Patzcuaro is a charming Mexican town with a huge market and lots of street food (great tacos, too). It is also known for having one of the best Dia de los Muertos celebrations in all of Mexico. It’s surrounded by many villages which are known for their handicrafts such as woodcarving and pottery, and there is a peaceful lake which is fun to visit, too. Huge Portions And Friendly People! 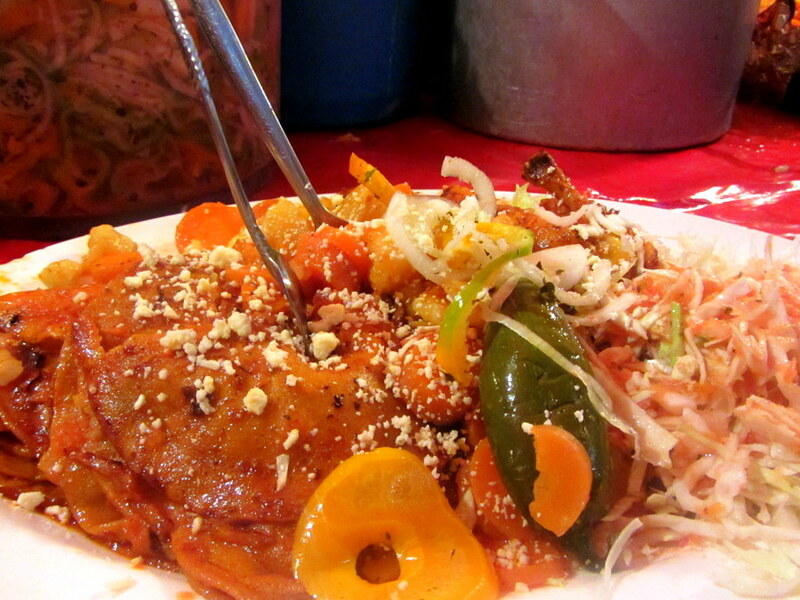 One Response to "La Pollita Feliz- Epic Street Food In Patzcuaro"
Looks great! We love street food. The GypsyNesters recently posted…A Small Space in Your Suitcase Can Make a Big Impact in the World!